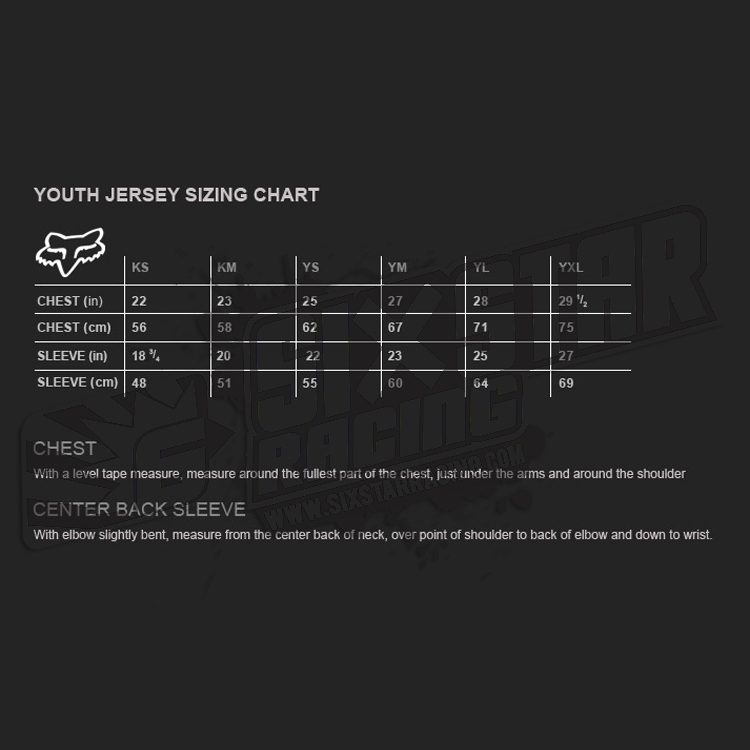 The Fox 180 Kids jersey takes the cake when it comes to value-for-money, combining style, comfort, and performance at a price that is unmatched for its level. The main body of the jersey is constructed of moisture-wicking fabric that works tirelessly to keep you both dry and comfortable. Ventilation is increased throughout the Kids 180 jersey though side panels in the jersey, aimed at aiding in moisture management and helping keep you cool while you're riding. 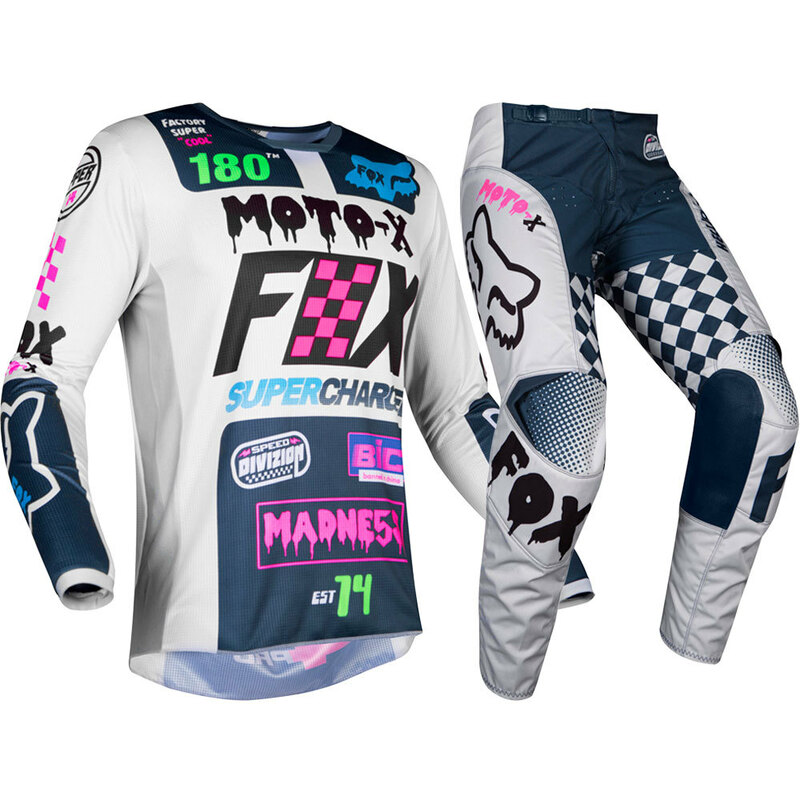 Utilizing Fox's RAP (Rider Attack Position) construction, the Fox 180 Kids Pants offer serious comfort in the riding position on the bike, something that a lot of pants out there leave a lot to be desired. 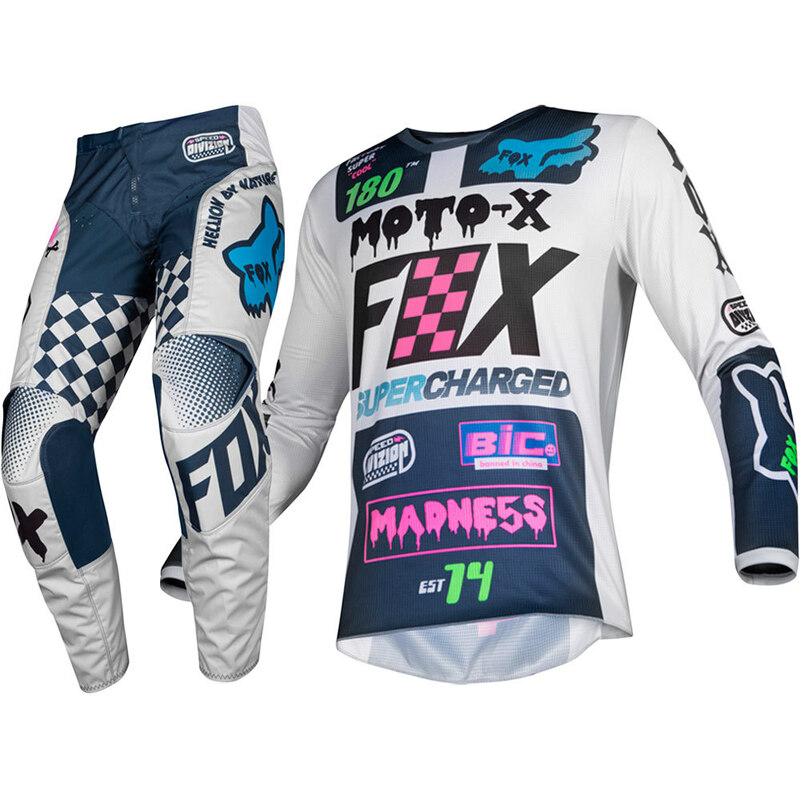 This articulated fit combines well with strategically placed stretch panels, providing improved flexibility and natural movement on the dirt bike. 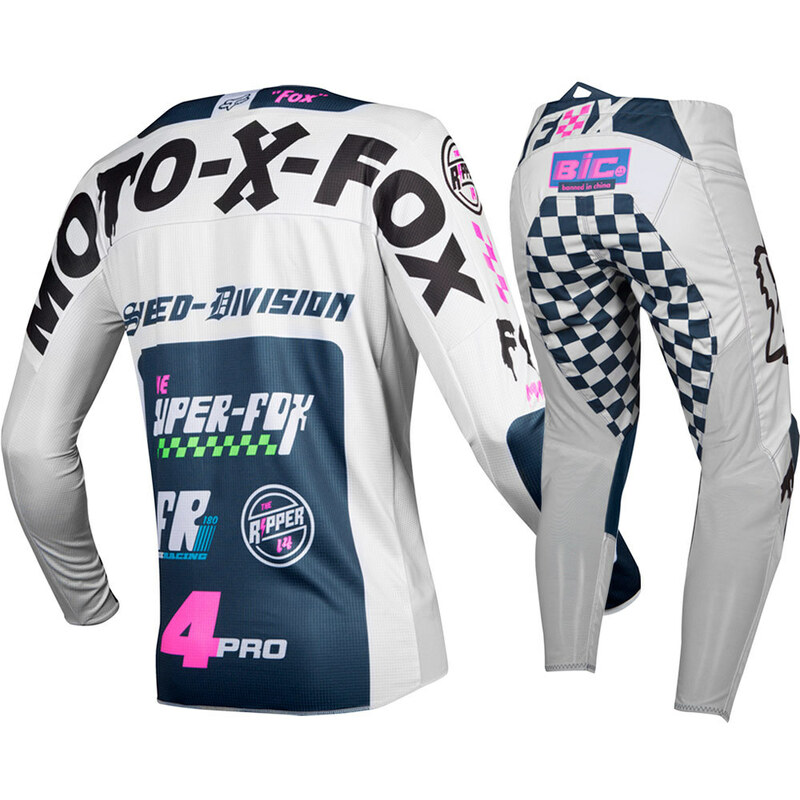 And living up to the durability and dependability that the Fox 180 Kids pants have built their name upon, the extremely robust 600D polyester construction means these beauties will hold strong ride after ride.